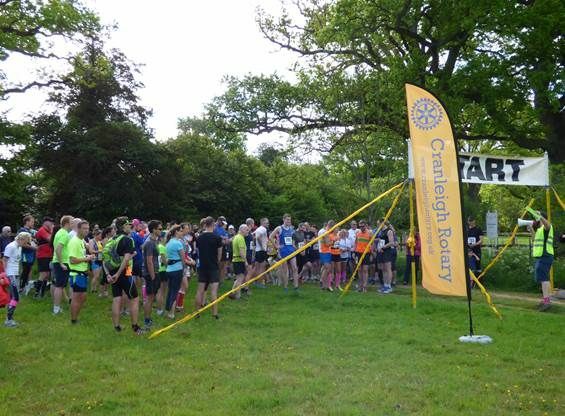 The Third Cranleigh Trail Events organised by the Cranleigh Rotary Club, together with Informed Choice and various local organisations, took place on Sunday, 14 May. More than 100 people took part and the events raised £1,800 for Cranleigh Rotary Youth Projects. The course was changed this year to enable all of the events to start and finish in the same location in Cranleigh PC Playing Fields. 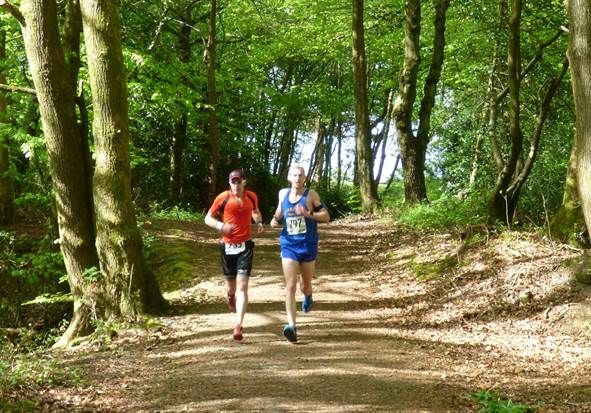 The lovely weather helped to display Surrey Hills at their best and conditions under foot were ideal for a fast race. Nicholas Twomey of Ranelagh Harriers was the first runner to finish the half marathon in 1 h. 29 min. 57 sec., closely followed by Steve Wrapson of Horsham Amphibians Triathlon Club in 1 h. 30 min. 7 sec., who continued to complete the marathon in a staggering time of 3 h. 15 min. 22 sec., having climbed a total of 2,700 ft (823 m).